Believe it or not, Bites of Flavor is only 11 months old. That’s right, my little blog isn’t even a year yet. Creating a blog was a dream of mine for years, especially because I wanted to create a place to share healthy, Weight Watcher friendly recipes. I am a Weight Watchers member for life and truly believe it works. Last week, I received a message from a fellow blogger, Shannon at Healthish Foodie, that she had nominated me for the Sunshine Blogger Award. Can you believe it?! Along with 10 other blogs, MY blog was nominated for this award. It’s such an honor to be recognized, especially by a fellow blogger. THANK YOU HEALTHISH FOODIE 🙂 !! 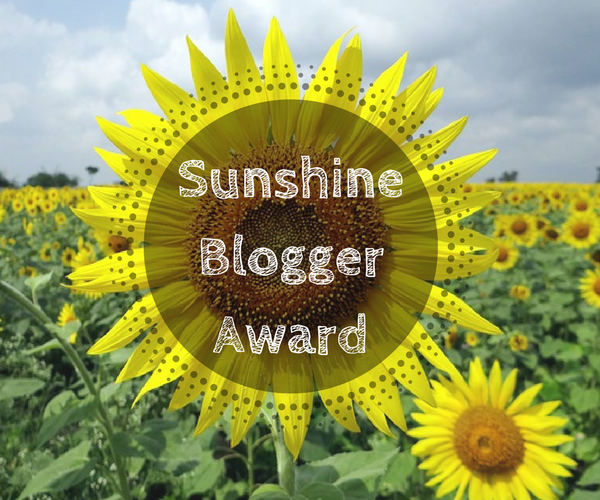 What exactly is the Sunshine Blogger Award? This award is given to bloggers by other bloggers who they believe are inspiring, positive, and deserve some recognition. It’s also a great way for bloggers to get to know each other! The Healthish Foodie nominated 11 bloggers for this award and asked 11 questions. Here are my answers, if you are dying to know! Tell us about your blog and what was the driving force behind it’s creation? 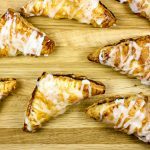 Bites of Flavor is a food blog dedicated to sharing healthy, Weight Watchers friendly recipes. I started my Weight Watchers journey in 2011 and there were only a few websites with Weight Watchers friendly recipes I could find. I told myself one day I would create my own. 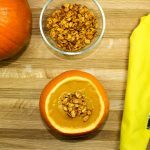 With the help of my amazing husband, I started Bites of Flavor last year to share all my Weight Watchers friendly recipes! What are your top 3 blogs that you look to for inspiration? Skinny Taste is really the blog that inspired me to create my own. Back in 2011 when I started Weight Watchers, she was really the only blog that I could find recipes for Weight Watchers. I love her blog and love her food. I also LOVE Pinch of Yum. 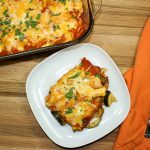 The food is delicious, easy to follow, and they are a husband and wife duo working together on a great blog. Another blog I love is Minimalist Baker (also husband and wife duo). 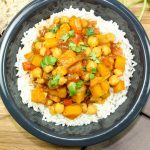 All vegetarian and vegan recipes! I just bought her new cook book and it’s amazing. What is one kitchen tool that you could not live without? My food processor. I can’t remember life before I bought my food processor! I use it all the time. What do you do to get inspired to create a recipe or blog post? Go out to eat, or watch Food Network. I get inspiration from eating at restaurants or watching food cooking shows all the time. I like to try and make any dish I eat at a restaurant or see on tv, healthy. What celebrity chef would you love to meet and what would you talk about? Oh that’s a tough one! I think it changes every year, so currently my chef “crush” is Marcela Valladolid from the Food Network show, The Kitchen. I love her food and I love her Instagram. Her kids are so cute. I would really just ask her to teach me a classic and authentic Mexican recipe! What is the hardest dish/recipe you have ever made? Don’t laugh, but probably homemade bread. I tried to make whole wheat bread three times and just couldn’t get it! The dough just wouldn’t rise properly. It could have been because it was during the cold months and yeast needs warmth to rise. In any case, I should just buy a bread maker! What is one thing you wish non-bloggers knew about blogging? Hmm, that’s a tough one! I think for my blog, I’d just love people to know that the recipes I create are for the everyday cook. I am not fancy, so I don’t cook fancy food. I create recipes that I legitimately eat and if I make a recipe that I don’t like, I won’t post it. When did you start your blogging and what is your schedule/blogging routine? I started my blog last July. I try to post two recipes a week, on Tuesday and Thursday. I tend to make one “test” recipe a week and cook two to three recipes a week that will actually be featured on the blog. I spend a ton of time sharing my blog on social media. Those were great questions Shannon! Now, for the fellow bloggers who I have nominated… here are your 11 questions! What has been the biggest challenge you’ve face blogging? I still can’t believe that this blog was nominated for an award. Thank you Healthish Foodie! To all the fellow bloggers I nominated, I can’t wait to read your answers and get to know you a bit more. I picked your blogs because I love reading your post and admire your work. Also, I really love the name of your blog! And for all my readers, thank YOU for visiting my site, checking out my recipes, and encouraging me to continue on this blogging journey. June 8, 2017 at 2:53 pm Hi Kristine! I loved reading your answers. I'm pretty sure anyone that blogs about food is a fan of Pinch of Yum (myself included!) They are awesome! :) That's a great idea to do a weekly schedule the Friday before. I might have to put that tip to use! June 21, 2017 at 12:48 pm Thanks for nominating me Kristine!! I'll be posting this week :) Do you mind if I use the logo you created?